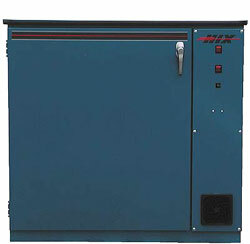 The HIX screen dryer filters heated air at a rate of 100 cfm with a unique air knife system that provides even air to every screen. This factor alone is of great benefit in decreasing screen prep time by cutting down on pin holes created by dust. The unique angle rack system eliminates movable parts, and is capable of holding eight screens level at any size up to 26" x 32". 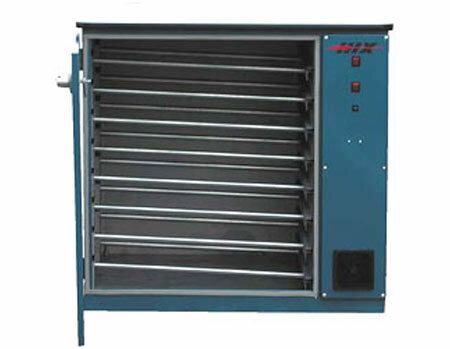 Sturdy and durable, the HIX screen dryer can function as a coating table or a stand for the HIX TT-180 table top exposure unit. Holds eight screens up to 26" x 32"